Search Engine Optimisation (SEO) is simply all about improving the visibility of a website within search engine results. 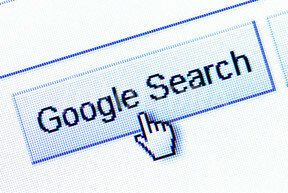 More specifically, it refers to the natural or ‘organic’ search results generated by Google and other search engines. the goal is always to ensure that a website (or specific pages within that website) appear high up in search results – the more prominently a site appears in search engine results, the more visitors it is likely to receive. SEO looks at different types of user searches including news, images, local, video, academic and other, more industry-specific search engines and optimises accordingly. Optimising a website involves crafting the content and the code behind it to maximise its visibility for specific keywords and by by increasing the number of inbound links to the site. Search Engine Optimisation is generally offered as part of broader search marketing work, designed to maximise visibility and encourage better reach and engagement. SEO is often used in conjunction with Search Engine Marketing to improve reach and deliver clicks direct to the client’s website from Search Engine Results Pages.